I've been making music for about 30 years. 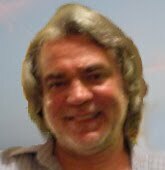 After publishing songs and music for comedies and musicals, I started composing music for Italian radios, tvs and documentaries in the early 80s. I am an independent musician and solo artist. I produce my music in my project studio, together with Sound Engineers and other collaborators. Now my music is broadcasted on air and on the Net by international radios. Being a piano and keyboards player I perform in Italy in various public places. My favorite genre is Electronic Ambient and Instrumental. 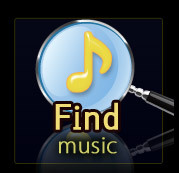 On my Audiosparx page you can find music for Film, Documentaries, Tv and Infomercial. I can compose music on demand for specific projects. My music is royalty free. After getting the license at Audiosparx, you won't be required to pay further fees. Entropik Music is a producer of music for the media, based in the UK. Described as “exotic, soulful, genre defying and uniquely beautiful,” their music has been featured in numerous Film and TV productions, including the award-winning feature film “Bane” and is part of the “Zentropa” catalogue, (Lars Von Triers’ film company). Entropik won the Electronica Category Runner Up at the 2009 People's Music Awards, and Best Short Film Score at Humfest Film and Music Festival. Genres include Ambient Electronica, Classical, Rock, Pop, Trip-Hop and Downtempo Psychedelic. 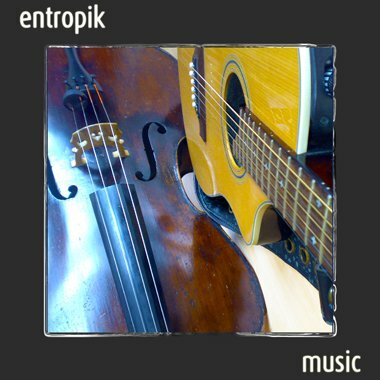 Entropik Music is composed of two dynamic UK partners, Deryn Cullen (Cellist, Pianist, Composer) and Dan Cullen (Composer, Songwriter, Producer). Their music has been featured in numerous projects, including films, corporate presentations, commercials, video games and a contemporary dance competition. 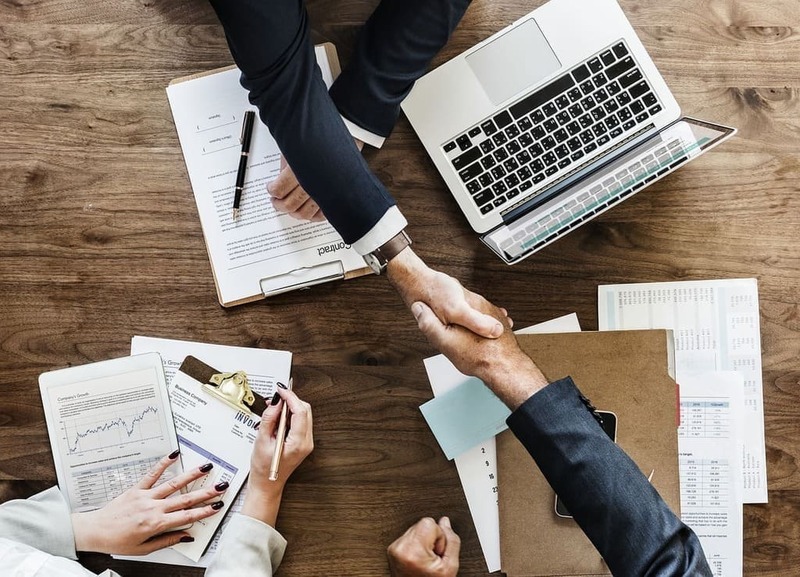 Additional clients include Dendrite Studios, City Interactive (games), TSA Interactive/ Homeland Security, Catholic Radio International, and the award-winning Deka Studio Inc. Films include: Enfant (AdamR) – 2009 (Best Short Film and Best Score at Humfest 2009); Wolf at the Door (Groovy Broomstick Productions) – 2009 (Short Film set in a post-apocalyptic world); Le Cinquième Jour (David Forest Animation) – 2009 (Best Short Film award at Cégep du Vieux Montréal); Bane (Amber Pictures) – 2008 (Best Horror Feature Film award at the Los Angeles Horror/Sci-Fi Film Festival; Shriek Fest 2008); and The Corpse Wore White (Mica Films) – 2007 (screened at "Screens at the Audience Choice Award Film Festival" 2007). I'd like to introduce you to scoreAscore.com, a one of a kind, 24/7 music composer resource for all types of media projects. At no cost, take less than ten minutes to post your project (no project is too big or small), a description of the music you need, and a video (if you want). Our pool of hand filtered, professional composers *including Grammy and Emmy winners and nominees* will send you custom scores, tailored to your project, with no obligation. There is absolutely nothing to lose. No other website has this service. 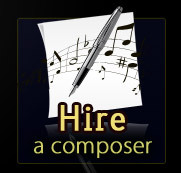 We’re the most time efficient and simple process to access the top quality composers. MiFM is a newly started, grassrooots company geared toward lower-budget independent filmmakers, producers and directors as a way to get their visual media a customized, original soundtrack or score. We do this based on the concept of the "cue," which is a musical passage or theme. 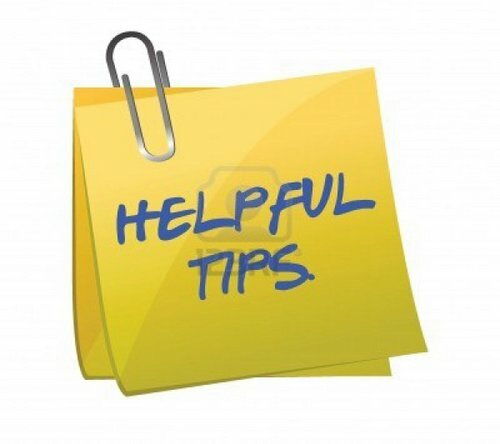 Cues are purchased one, two or even ten at a time, written under the supervision of the filmmaker- instead of handing your film off to a composer and not knowing what you are going to get back! We meet for a scoring session and a mix session, so that you can supervise the entire process, and we charge a fixed rate for each cue. 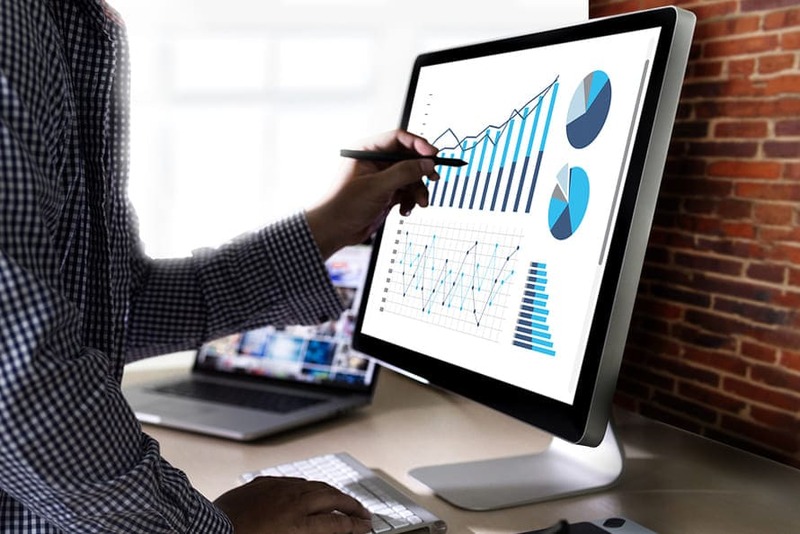 The best part is, each cue can be broken down to its raw elements (remixed, so to speak) and any part or parts of that cue can be used to underscore your visual. Imagine a two minute cue with big drums, strings, and brass... this cue can be broken down to just use the drums during one section of your visual, or just the strings in another...or just the drums and strings somewhere else! No extra fees, only the cost of a cue. You get the picture. You can also read my bio. there. You just need to google productiontrax.com and include my name, Walker Ikard. 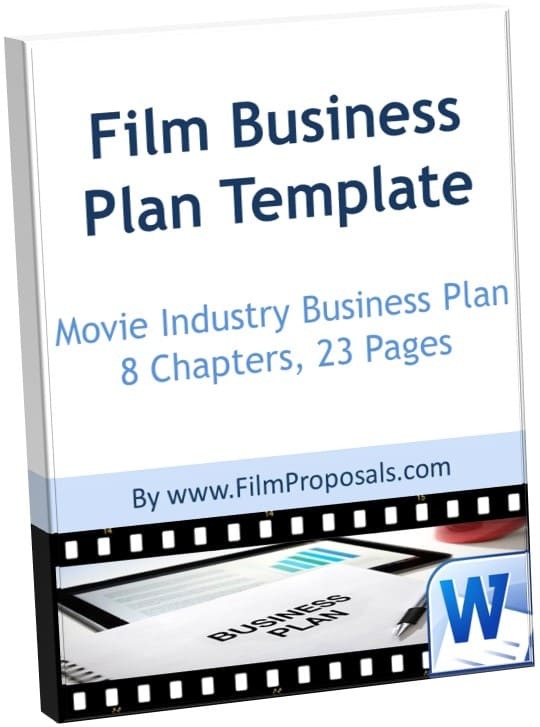 Good luck producing your films. 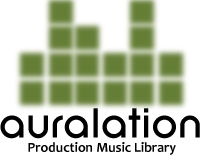 Auralation is an independent music library. We are small and growing like a weed. Our library is BAD A**. Our library is powered by SOUNDMINER, which means we are easy to use at 2am when you are trying to finish your project. Our team of composers are pretty hungry and ready to go. 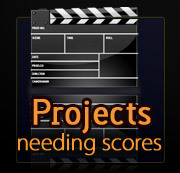 We are also available to score any production you have. Intense drama, severe crime, uber reality, information overloaded documentary. A&E, DISCOVERY, SCRIPPS, EPSN, FOX, Oxygen, SPIKE, on and on. 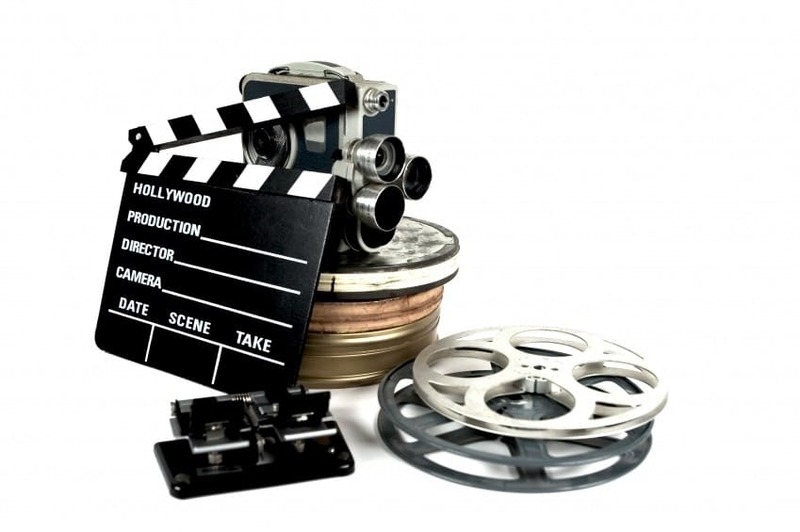 DOCUMENTARIES, REALITY, HOW-TO, CRIME, DRAMA, on and on. Go to auralation.com and click on the logo to start auditioning cuts. If you are ready to download, let us know. We will send you the agreement and you will be good to go. Think of us as a supplement to the libraries you already use. We are adding more tunes every month, so keep checking back with us. Thanks so much for your time. We so look forward getting the chance to work with you. 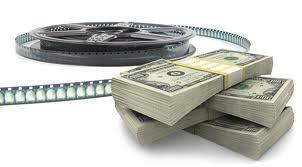 We create, license, and promote music for films. A library of 100+ songs and a team of seven professional producers here for you. Sample our production and get in touch! JewelBeat Music, http://www.jewelbeat.com/ is the first and only $0.99 music for your projects solution with over 35,000 tracks and growing that are completely royalty free for use in video, photos, web, games, corporate use, retail, education and more. 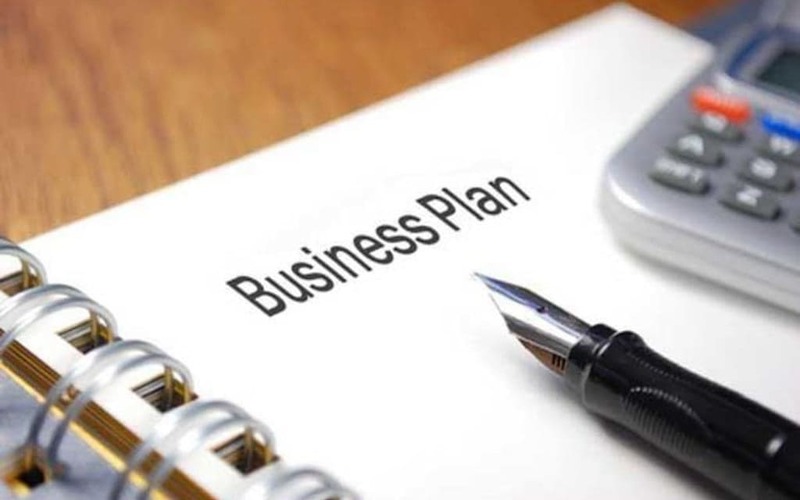 Every purchase is issued a license to your name/company name. Stone Cold Publishing Ltd. provide a unique and original production music library which will help your production to be a cut above the rest. Whether you want to commission a work or use a piece from our extensive library for films, television, radio, adverts or games, you will find what you are looking for at Stone Cold Publishing.